While I was sorting out some e-mails the other day (I'm perennially behind with blog-related ones), an e-mail about Canadian band Protosequence caught my attention. 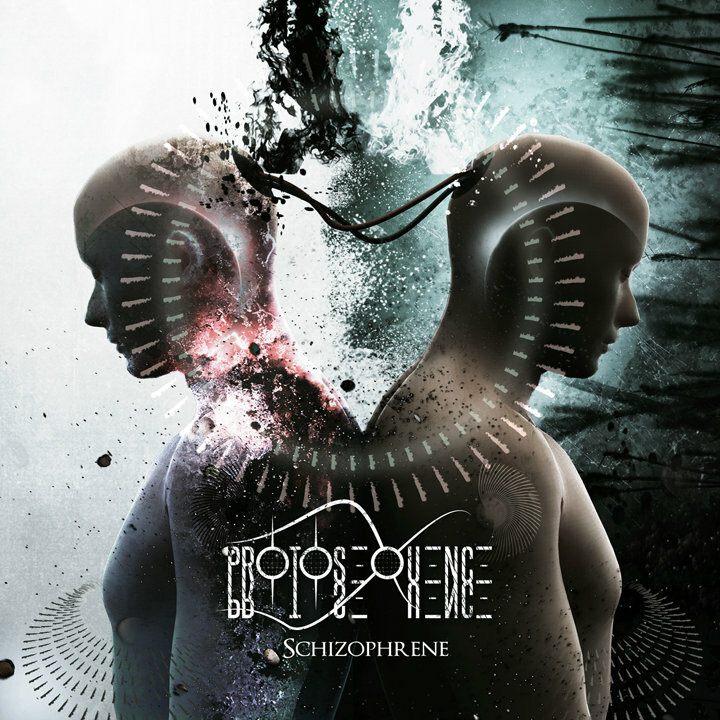 I glanced at the cover art for their early-2016 debut EP "Schizophrene" and read the press-release that described them as a prog/tech metal band, at which I was sold. They're actually about to release a brand new EP called "Biophagous' in mid-August, but this is my starting point. They're played with Protest The Hero fairly recently and they site The Black Dahlia Murder & August Burns Red amongst their influences, so I'm hoping for good things. That’s one to kick things off! Pitiless opens up with brutal drumming and is swiftly followed by modern death metal growls and a mix of tech and straight-up death guitar work. There’s actually a lot more technicality going on than that initial sentence gives credit for and the lead work is especially good. Guardian is no less frenetic, with plenty of virtuoso instrumentation that helps create plenty atmosphere despite the brutality. Its great to hear a modern band moving away from the whole “atonal djent” sound and crafting something that has real feeling. The bizarrely titled Cannabis Daggers leaves no moment for breath, with more than a nod towards a couple of bands I’ve mentioned above, sans the clean vocals. It’s also good to know that the band’s pace doesn’t drop despite the length of the song, which means the EP’s impact stays in tact. The riffs on EP closer Darkness Weeps are so damn catchy. The progressive elements are blown up in this song as well and it’s really listenable. You can compare Protosequence to as many modern metal bands as you want but they’re deserve being called more than “just another scene band”. “Schizophrene’ is more than solid and the new EP will be worth the wait on this showing. Cracking modern tech-death.